Are YOU brave enough to ride a BIG roller coaster? Find out in the all new ICEE™ Amusement Park! And don’t worry - like all my town games our characters have emotions, so even dad gets scared and cries on some of the amusement park scary rides. 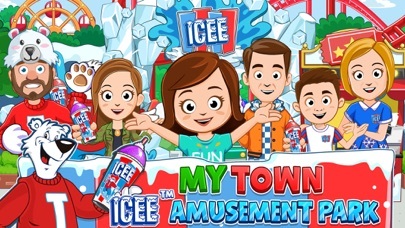 My Town : Icee Amusement Park is the latest dollhouse game by My Town. There are all kinds of fun adventures to had as you explore the park and try out rides like the Slingshot, the Parachuter and more! When you need to take a break, you can visit the Icee store to pick up souvenir bags and drink a tasty Icee in a cup you can take home with you! Then you can bring your Icee to one of the food stands to pick up a snack. And don’t forget, amusement parks are always more fun with friends, so if you have more than one My Town game, you can bring ALL your favorite My Town friends to the park with you! 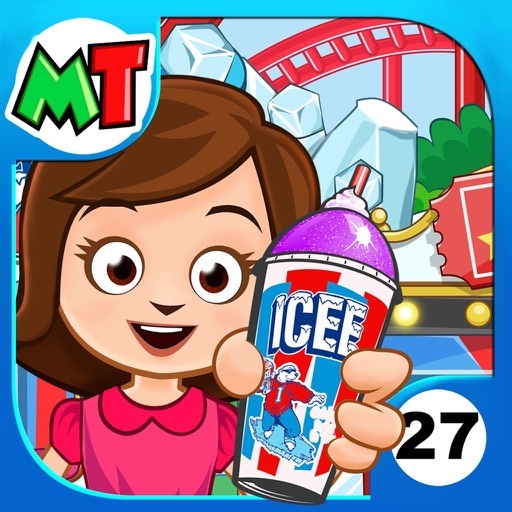 - New Characters – If you have any of the My Town dollhouse games, you can bring your characters from those games over to My Town : Icee Amusement Park to join you on your travels! - Six rides to discover AND 5 additional mini games because no amusement park is any fun without a claw game and whack-a-mole! - What prizes can you unlock? Collect tickets when you play the mini games so you can find out!